This Halloween it’s time to create the greatest Jack O Lantern that has ever graced the front porch. Startle trick-or-treaters, make neighbors jealous, and munch candy while admiring the flickering flame in the perfectly carved pumpkin. 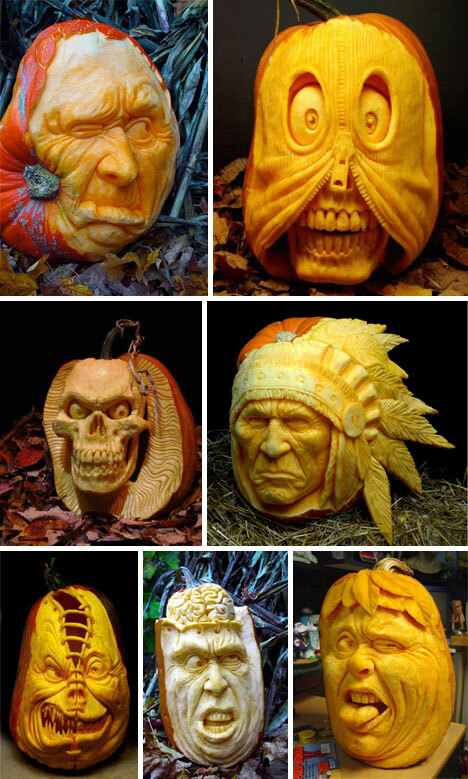 Some of the best pumpkins are more sculpture than anything else. With extreme depth and no space for the typical candle, they are truly works of art. Many people regret eating too much candy on Halloween, and it’s nice to know that Jack O Lanterns sometimes share that pain. 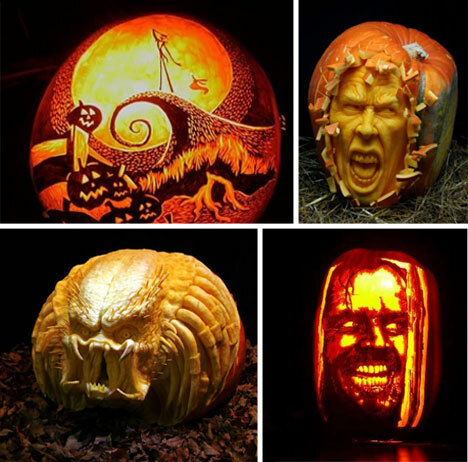 While a bit crude, there’s a great three dimensional quality to this kind of pumpkin carving. Compelling (and terrifying) film characters are great pumpkin fodder. 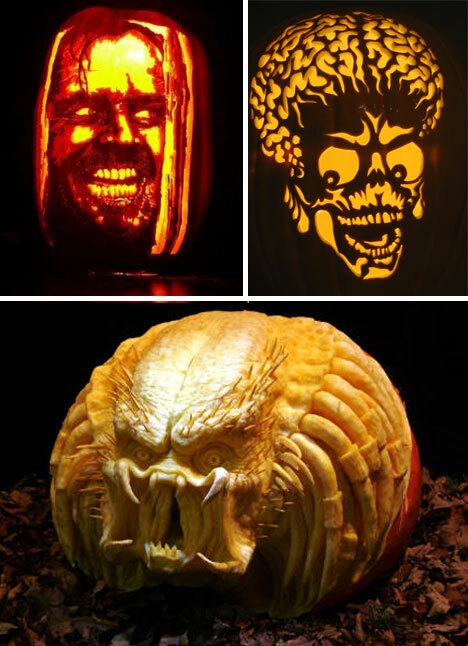 While it’s not easy to carve a wonderfully realistic predator recreation, a martian is perfectly doable. 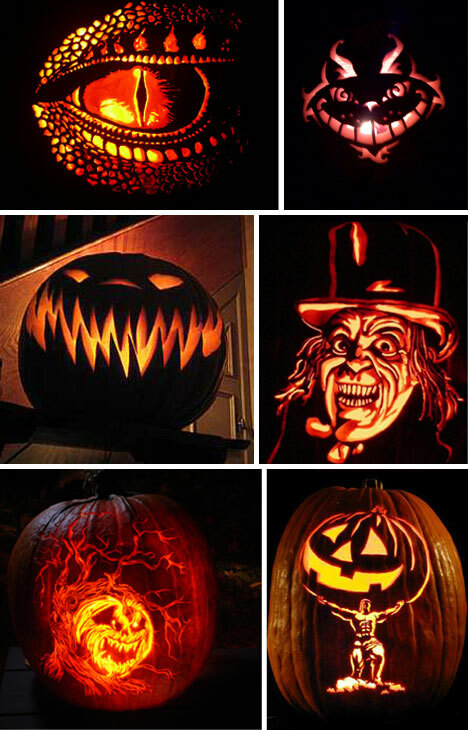 These Jack O Lantern examples may not be mind-blowing, but they’d still outshine nearly every pumpkin in the neighborhood. Spend a little more time this year and show some true creativity. 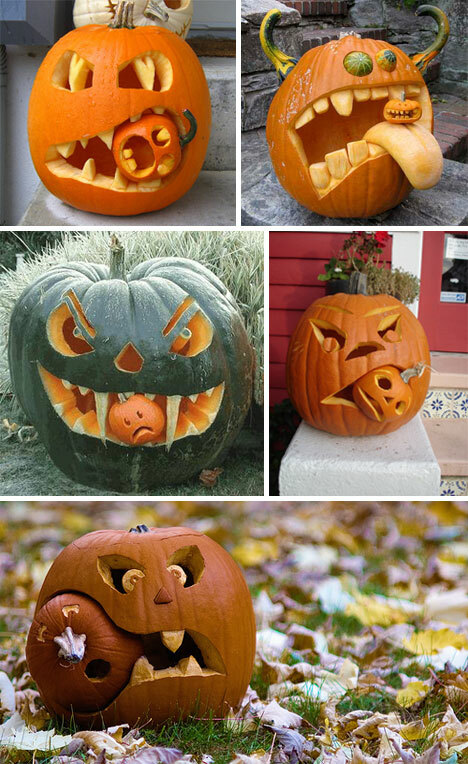 Anthropomorphized pumpkins are delightfully comedic. 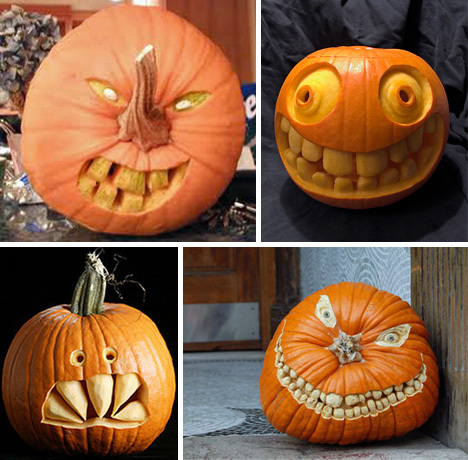 It’s especially strange to see pumpkins with realistic teeth grinning with creepy stares and stem noses, but it adds a great contrasting quality to the typical Jack O Lantern’s glowing face. 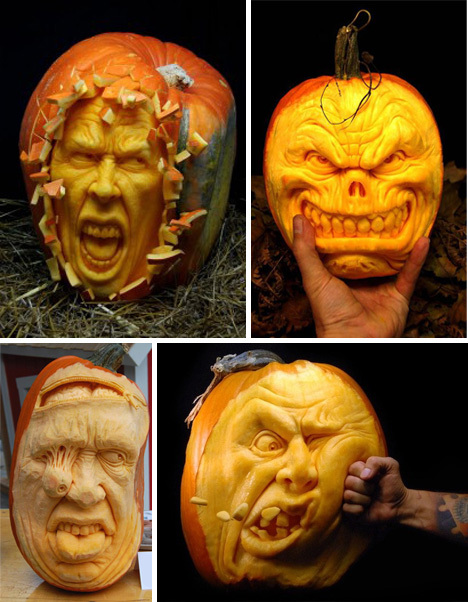 The realism attainable with such an odd medium as a pumpkin is shocking and impressive. Incredible detail, fantastic expression, and creative execution combine to form exhibit-worthy creations. Yes, pumpkins are cannibals. 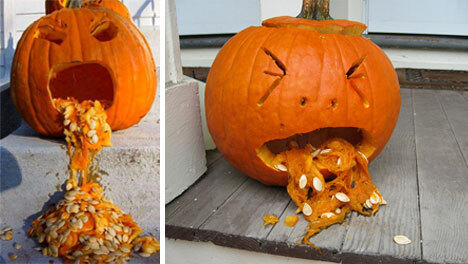 This is why it’s always important to keep smaller pumpkins well away from the voracious, larger pumpkins. 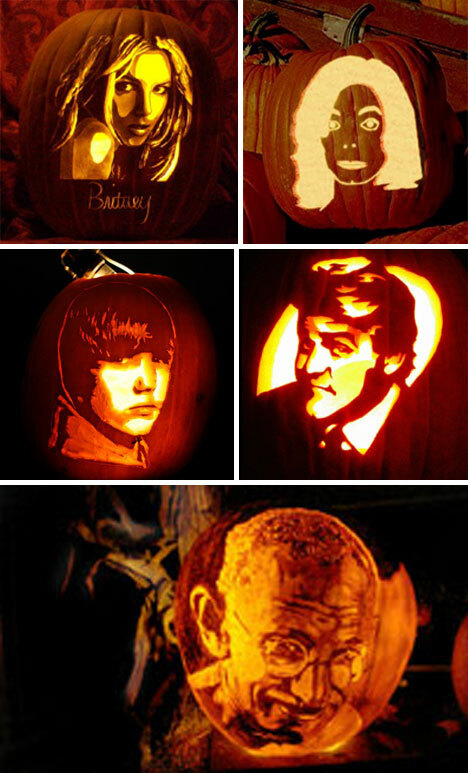 Some Halloween fanatics would argue that a Justin Bieber Jack O Lantern is one of the scariest on the block, but it’s doubtful that this would stop someone from placing it next to their front door. 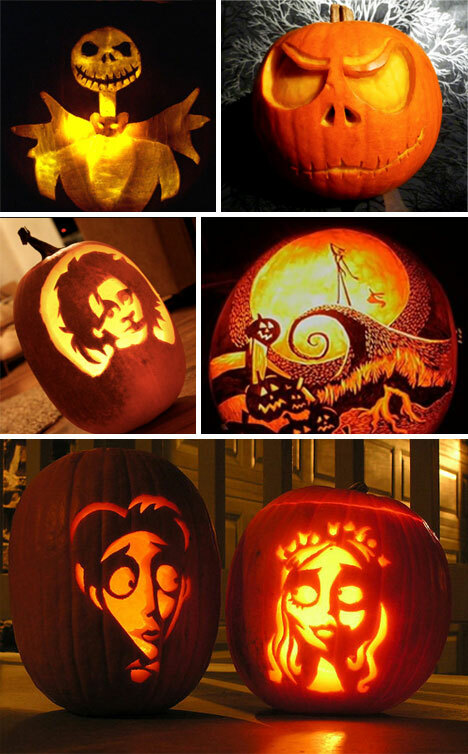 Tim Burton is the godfather of Halloween in his own way, and a multitude of pumpkins have been carved to honor his contribution to spooky culture. Any manipulated material is inevitably used by Star Wars fans to pay homage to their favorite film series. 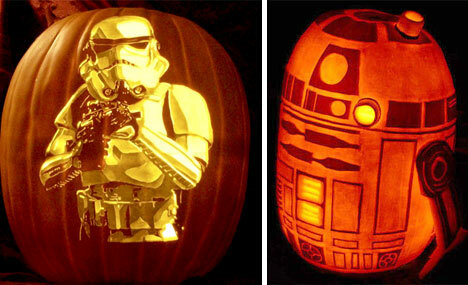 As always, the fans bring an incredible amount of detail to the difficult task of forging a pumpkin into something epic.